If you’re a country music fan in the central Pennsylvania area, then you’ve probably already heard about 16-year-old Stephanie Grace from nearby Douglassville, PA. This up-and-coming country singer has been tapped to open for headliner Easton Corbin this Friday, January 11 at 8 pm. Stephanie has been fortunate to share the stage with the likes of such notable country artists as Taylor Swift and Bucky Covington. Over the past several years, Stephanie has been making a name for herself at local restaurants, fairs and carnivals, and as a youngster in 2006, she won the Pocono Junior Idol and Kids Country Idol titles. In June of 2012, Stephanie was in Nashville, performing at various venues during the CMA Music Festival, and returned to Pennsylvania to entertain fans locally at the WIOV Fall Fest here in Lancaster in October. 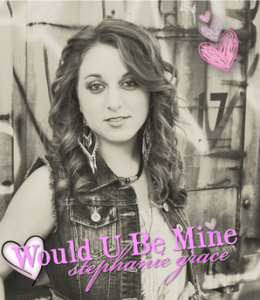 The third single from Stephanie’s self-titled EP, “Would U Be Mine,” is set to release on January 17. To learn more about this amazing young talent and to hear some of her music, click here to visit Stephanie’s website. Tickets for Friday’s Easton Corbin concert, with opener Stephanie Grace, are available by calling 800-648-4102 or by clicking here.